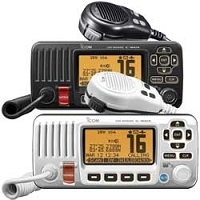 M424 delivers superior performance in a compact package and features Icom’s most intuitive user interface. 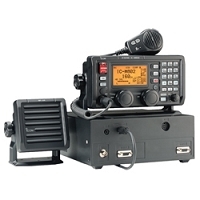 M424 is the world’s first fixed-mount VHF with active noise canceling and Class D DSC. The active noise-canceling software quiets background noise by up to 90 percent on both outgoing and incoming calls. Featuring “smart touch” soft key human interface, built-in PA, AquaQuake™, IPX7 waterproof rating, and direct compatibility with Icom’s MA-500TR AIS transponder and the new CommandMic IV™.